Designed for versatile soldering, assembly or repair works. Elegant and modern design of the lamp make it match every interior, both of the shop floor as well as design office. Economical and very bright backlight made of 80 LED’s and magnification of 5 dpts. give an opportunity to work even in difficult conditions. 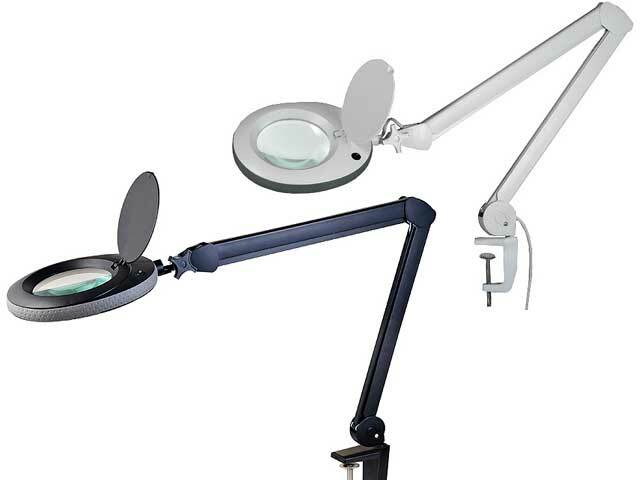 The pantographic extension arm and additional adjustment of the lamp’s head allow for choosing any position. Lamps are equipped with a glass lens and a cover protecting against dust settling. Promotional price does not apply to Newbrand distributors.